Education is more important today than ever before. To prepare students for the world of personal and professional choices in the 21st century, we must open the doors of college to all Americans and make two years of college as universal as high school is today. 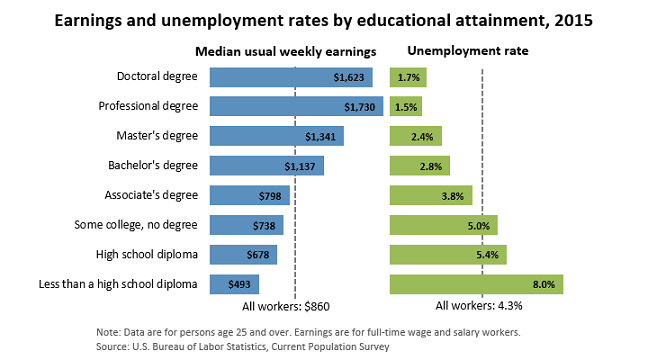 Moreover, those who continue their education after high school can expect a considerable increase in annual earnings and lower rater of unemployment. 1. Georgetown University: Center on Education and the Workforce, Recovery: Job Growth and Education Requirements Through 2020, June 2013.